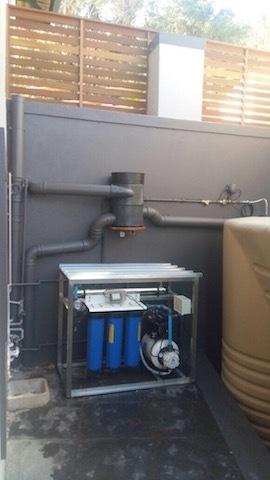 Our company designed and installed a rainwater harvesting system for a client in Dunkirk Estate in Ballito near Durban. The primary objective was to design it as an effective storm-water attenuation system. At the same time the design allowed for integration into the house's water supply network where the water will be used for flushing toilets and general non potable use. The system was designed to attenuate storm-water at a flow-rate of 1000 cubic meters per hour. 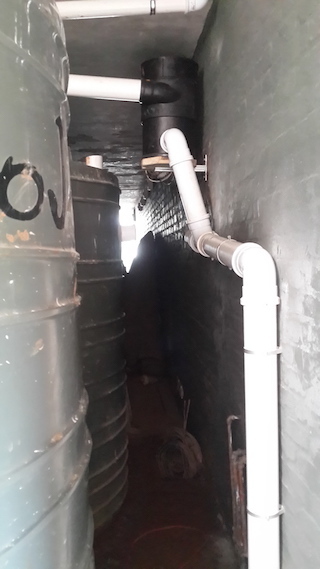 It was The designed to fit into a void below the house. All water from about 250sqm recovery surface is directed via a number of integrated rainwater down-pipes into three 5000l rainwater tanks. Space was limited and designing it was a challenge because of the limited space. 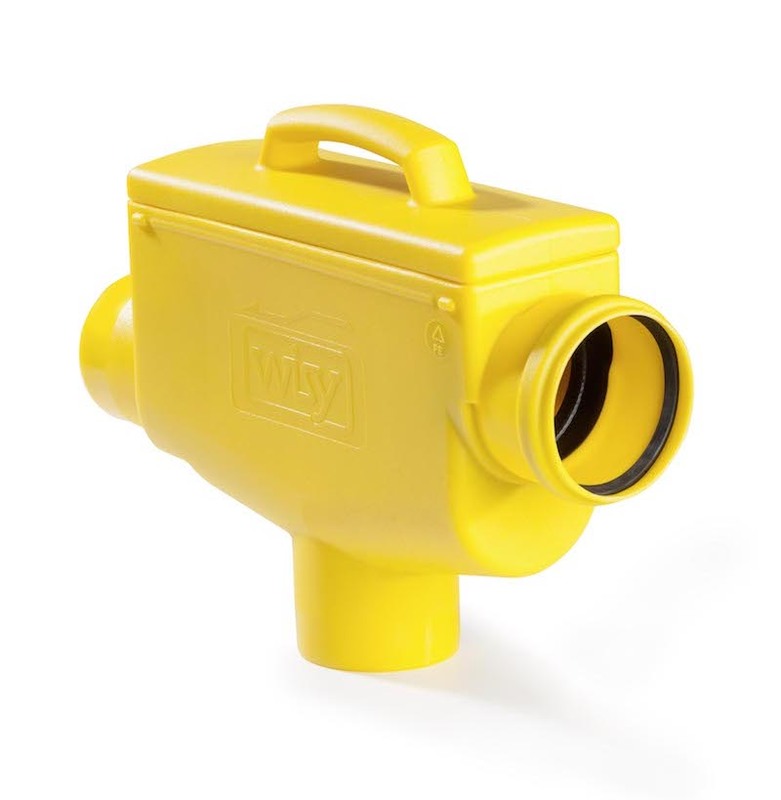 Connected to the drainage points is a primary WISY Vortex filter that filter out any material larger than 28 micron using 5-10% of the water. 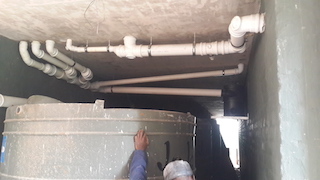 The clean water flow into the tanks which are be interconnected. A stainless steel vertical multistage submersible pump with a pressure control system supply the required water demand to the house demand at about 3.5 Bar. The pump has a low level float switch as protection against low levels in the tank. The overflow from the tank flow into a reno matress system where the water is dissipated into the soil. The tanks also have a backup water supply system installed which operates via a float switch and a electrical solenoid. If the level of the tank drops too low the tank is topped up with municipal water up to about 20%. 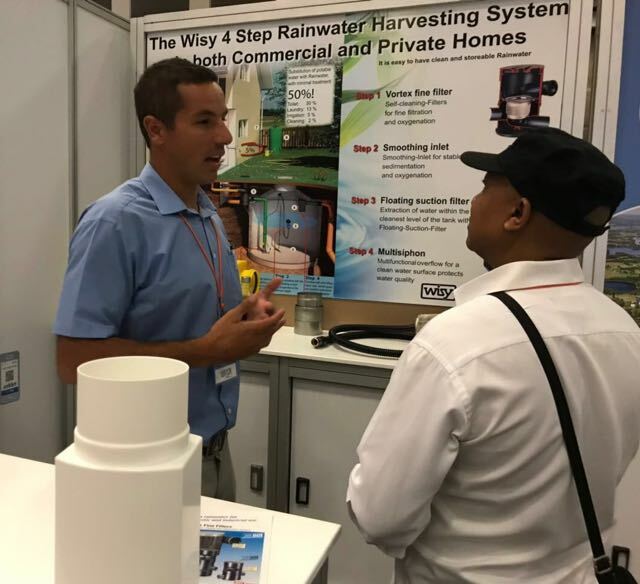 The water supply to the house also has back-flow preventer installed to prevent any rainwater from flowing back into the municipal supply should there be a failure of the float valve and the municipal supply. The back-flow preventer is a legal requirement in the USA and forms part of our standard installations.